The Sewing Rooms recently completed several projects showcasing the innovative reuse of materials and creative skill of our teams. Having already worked with Sheffield Hallum University on the student bar, we were excited to be asked back to help refurbish the student guild. 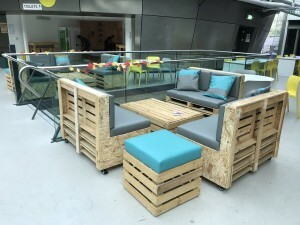 Reupholstering furniture, making new cushions and building new pieces of furniture – all from upcycled materials – not only gave the space a new look and feel, it also kept many kilos of waste from landfill. And who could resist a beautiful dog bed like these? 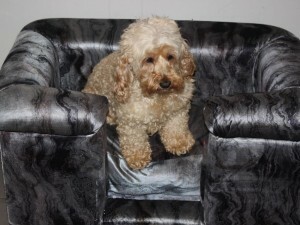 Our “Out of this World” range is a series of luxury dog beds made from reused materials and exquisite Panaz fabrics. This could be the Christmas gift for the dog lover in your life! Get in touch if you’d like more information! Our thanks to the continued support from Panaz! 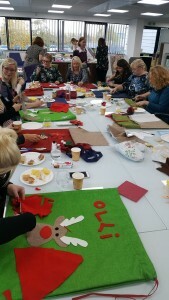 The team at Panaz recently hosted the Sewing Rooms’ team for a fantastic festive session of sewing! 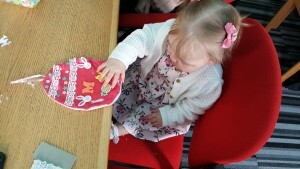 We made decorations, listened to Christmas music and of course, had a few nibbles! 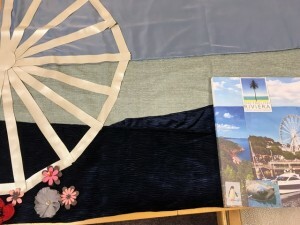 The support of Panaz through the company’s donations of fabric continues to enable The Sewing Rooms to provide the one-of-a-kind products and services we are known for. We cannot thank them enough. And a couple of weeks earlier, we had an inspiring session with the Panaz team led by CEO Tony Attard to discuss future growth potential and opportunities. We look forward to further development! 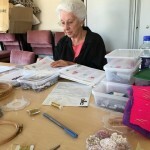 The Sewing Rooms co-founders Paula Gamester and Maureen Fazal have had a very busy Autumn. Speaking at a number of events around the country, they have shared their expertise gained through first-hand experience. 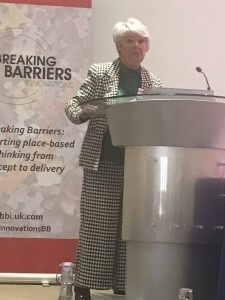 Most recently, Paula and Maureen spoke at the BBI Health and Social Care HOMES Summit that explored how housing affects health and wellbeing. Earlier this year, they presented their shared vision for ageing well to The South West Academic Health Science Network. 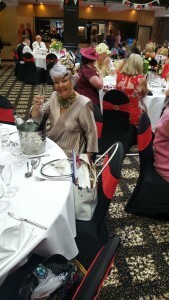 And locally, Paula and Maureen spoke at the Lancashire 50+ Forum in September. Collaboration is key in the social sector, and social enterprise is a cornerstone of strong communities. As a force for good, and through the work of dedicated individuals and organisations, social enterprise is making inroads into reducing inequalities and improving life for people around the world. 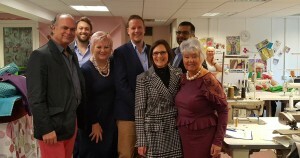 Please get in touch to find out ways you can get involved – from #BuyingSocial for gifts to donating fabrics and items or your time, the entire team at The Sewing Rooms would love to hear from you! 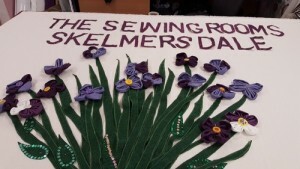 Our Transform Ageing programme – Sewing Torbay Together – has finished its community banner and will display it as part of the fourth annual Ageing Well Torbay festival on Saturday 20 October. 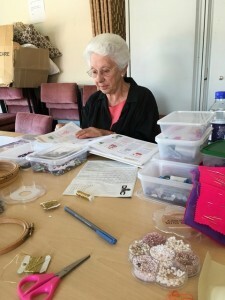 Supported by UnLtd, the Design Council, the Big Lottery Fund and Torbay Community Development Trust, we held sewing sessions in Brixham, Torbay and Paignton for people over the age of 50. This has been an important component of our social business since the very start. 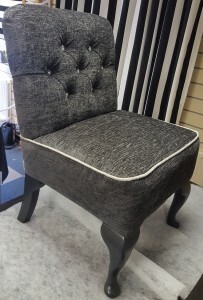 We sell a variety of upcycled and bespoke products created by our manufacturing department, including reupholstered chairs and sofas, made-to-order curtains, soft furnishings and accessories such as scarves and bags. We use the beautiful fabric donated to us by Panaz for many of these projects and were shocked and dismayed when news broke of the wastefulness of some of the fashion industry’s giants. 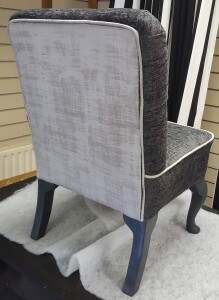 We have saved thousands of kilograms of fabric from landfill and when possible, we hire local craftspeople who have completed one or more of our sewing and upholstery courses. As ever, if you’re looking for a gift, we’d love to help. We have myriad upcycled products available and even more ideas, and if we can’t provide you with what you’re looking for, we can put you in touch with other social businesses who may be able to help! One of the social enterprises we have been working with is Kitty’s Laundry! 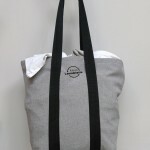 We’ve made their lovely bags and can’t wait to see the business prosper! 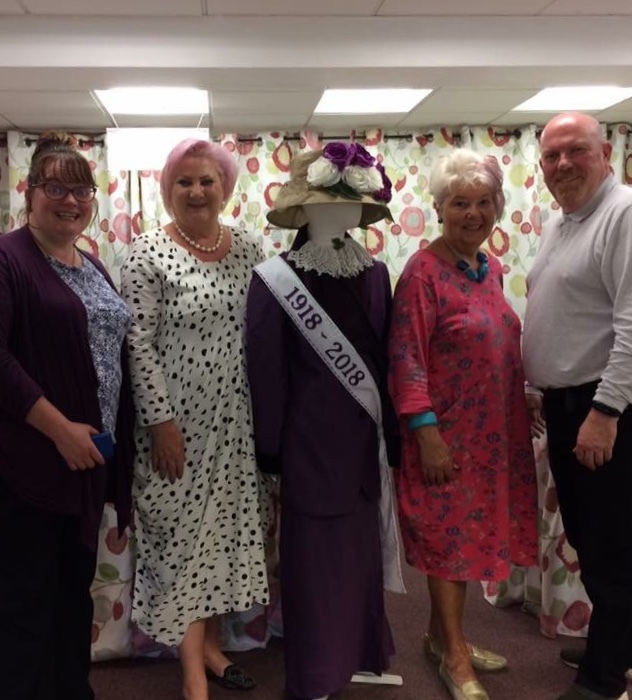 We had a lovely time welcoming Skelmersdale County Cllrs, Julie Gibson and John Fillis, to the Sewing Rooms in May this year! We took them through our workroom and latest projects and had a productive discussion about regeneration locally and ideas for future support. Thank you for your time! A full article about their visit is available online from SkemNews. 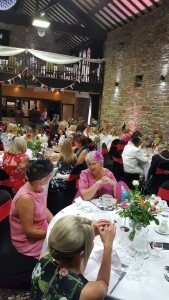 UnLtd recently featured an update on the Sewing Rooms’ expansion to the South West. 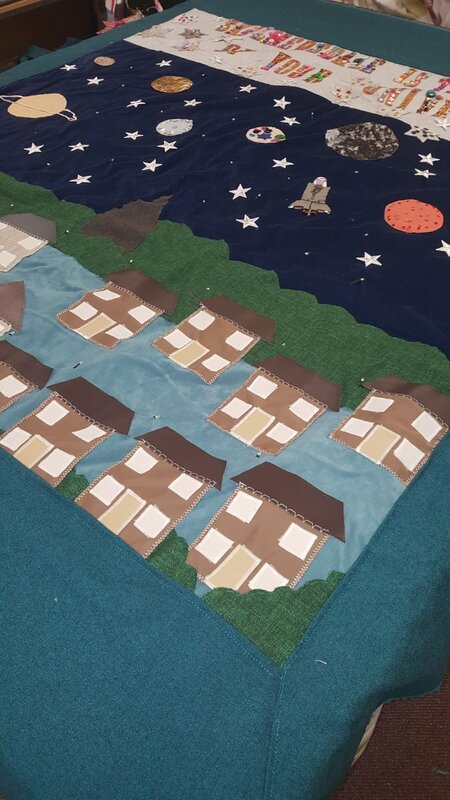 Through our Transform Ageing Project “Sewing Torbay Together,” led by the multi-talented Laura Scott, we are excited to be able to begin expanding our social impact across the country. Read the full article here. 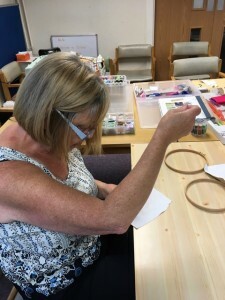 Mindful sewing, making new friends and unleashed creativity! 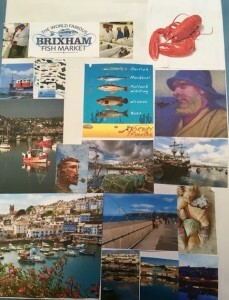 It’s all happening as part of the Ageing Well in Torbay project. 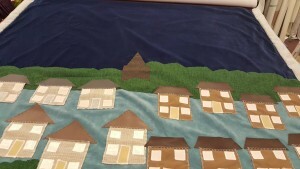 Led by Laura Scott of the Sewing Rooms’ Sew Fab Academy, women over the age of 50 are working together to create a Sew Fab banner depicting the beauty and meaning of their local area. 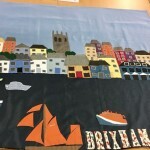 We’ll post again with more details from the finished banner. In the meantime, here is the gorgeous project in progress! We had so much fun and can’t thank enough everyone who attended! 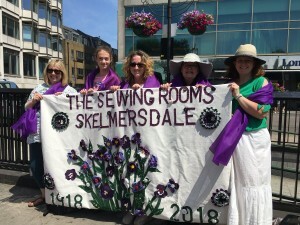 Here we are marching in the June 2018 Processions event in London – our wonderful banner is the result of creative inspiration and hard work from a number of people across Lancashire, including students from Manchester University. 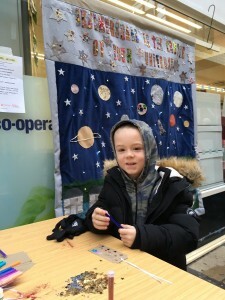 Led by Laura Scott, we used Panaz fabrics (and the Panaz team sewed with us) and the handicrafts of many to create our eye-catching banner. At the end of the March, the Sewing Rooms team was interviewed by the BBC. Here’s to everything we can do to help achieve an equal and fair society. 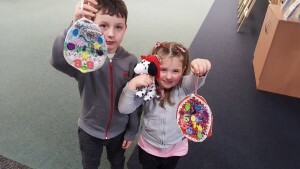 Our Silver Sewers recently hosted a sewing event at the Skelmersdale Library. 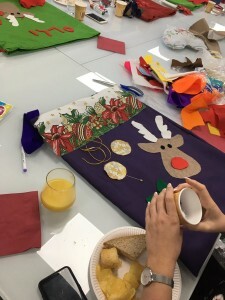 Participants created artworks to be added to the Sewing Rooms’ Processions 2018 banner that will be on display in the parade taking place in London on 10 June 2018. 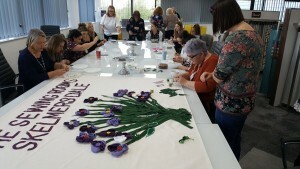 Processions 2018 is a mass participation artwork marking the centenary of votes for women in the UK. 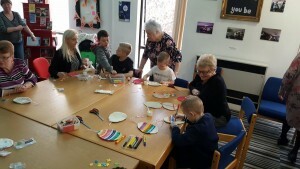 Feedback from the event was extremely positive, and we loved seeing the mix of ages working side-by-side and together. Read the review from the library team here. 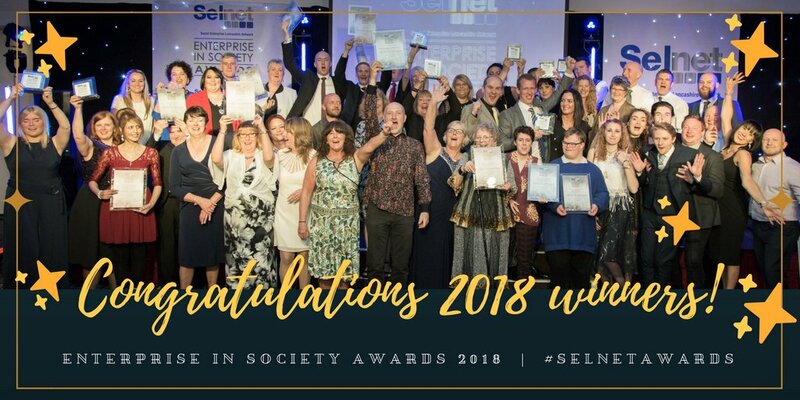 We are so grateful to our teams and community for the Excellence in Training or Mentoring award that we won from Selnet. It was a night of inspiration at the awards ceremony in Blackpool, and we’re already looking forward to the future success of our students and their limitless creativity. 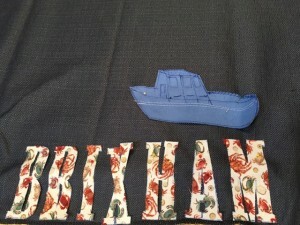 Expert tutorial – blind stitching piping! 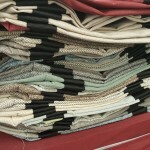 Upholstery tutor Tom Hogg shows how to blind stitch upholstery piping! Paula Gamester and Maureen Fazal are inviting individuals over the age of 50 to join them at two events they are organising on Wednesday 16 May at Evermoor Hub Digmoor Skelmersdale 1pm till 3.30pm and Tanhouse Community Centre Thursday 24 May 1pm till 3.30pm. The event is free to attend thanks to ‘Building Better Opportunities’ (BBO) programme funding from the European Social Fund, the National Lottery through the Big Lottery Fund, and Lancashire County Council. 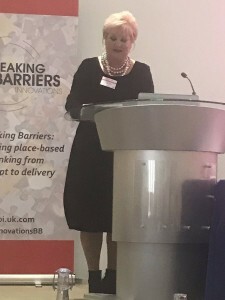 Paula explains, “The ambition for Age of Inspiration is to “IGNITE”, “INSPIRE” and “CONNECT” our older people to the things that keep them well. 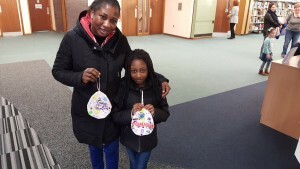 Paula and Maureen firmly believe that there are assets and gifts out there in communities, and that their job as good servants and good leaders is to recognise those gifts in others, and help them put those gifts into action. Communities have never been built upon their deficiencies. Building communities has always depended on mobilising the capacity and assets of people and place. We will also invite and have representatives of local community and voluntary associations as well as having representatives from the public, private and third sector organisations that are available to support them. 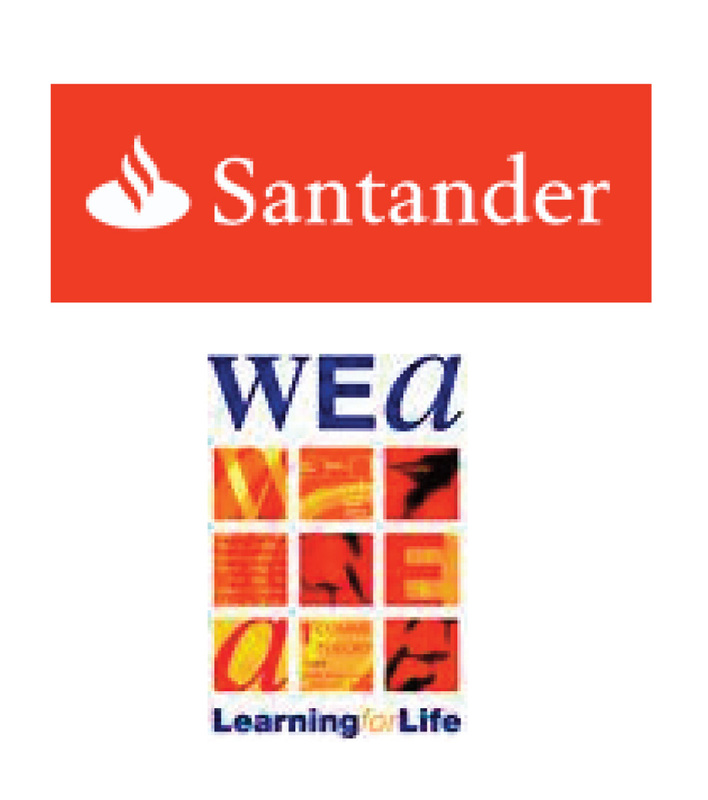 Well-Being is an integral part of the event programme; we passionately believe that if you’re not “Strong” and “Resilient” you cannot move forward. The New Economics Foundation Five Ways to Wellbeing, a set of evidence based practical things that participants can do to help stay strong and resilient underpins the whole event. These are: CONNECT, BE ACTIVE, TAKE NOTICE, KEEP LEARNING AND GIVE. Upholstery class a roaring success! Thanks to our first few participants in Tom’s fabulous upholstery tutorials! 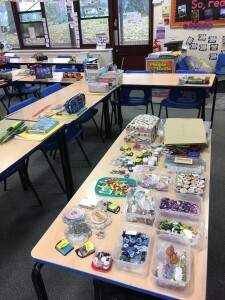 Their finished products were amazing (a few photos below), and Tom’s style of teaching was a hit! We’d love to see everyone at another course, and of course, meet a new group of learners! “Cannot tell you how much I enjoyed the course. Tom is not only a fantastic teacher – but a top gentleman also. 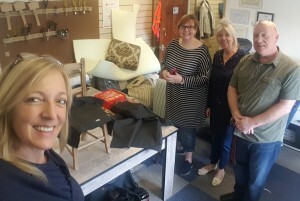 I will highly recommend this course (and The Sewing Rooms) to everyone.” Sandra, pictured below with the team and her finished chair. So exciting! 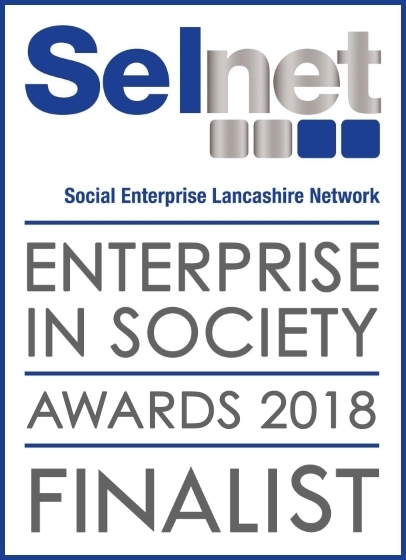 Paula and The Sewing Rooms shortlisted by Selnet! 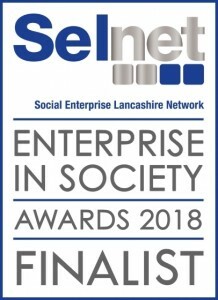 We’re so proud and thankful to announce that co-founder Paula has been short-listed for the Social Enterprise Champion Award, and the Sewing Rooms have been nominated for the Training and Mentoring Award. 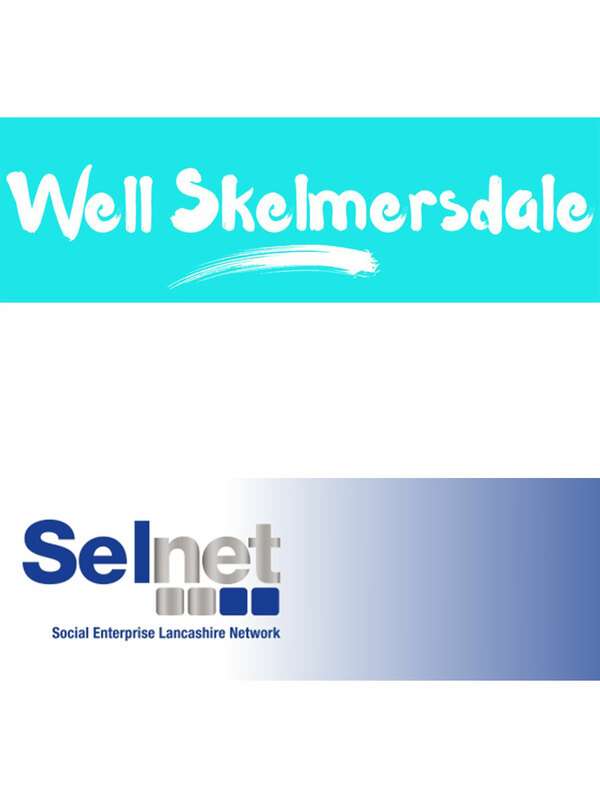 Selnet is Lancashire’s social enterprise network, and we’re extremely proud to be a part of such an inspiring and inspired community. The awards for 2018 will be announced on 5 May at a fabulous event in Blackpool. We’ll let you know what happens! Look at some of the beautiful creations! 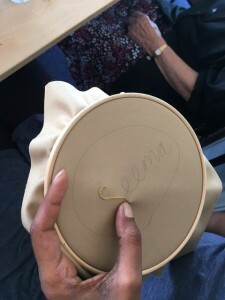 As well as their work across Lancashire, The Sewing Rooms is one of 19 ventures supported by Transform Ageing, a first-of-its-kind initiative to change the way society approaches and designs services for people in later life. 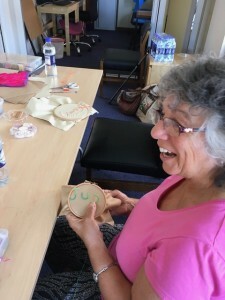 Funded by the Big Lottery Fund, the largest funder of community activity in the UK, Transform Ageing takes a community and design-led approach to improve people’s experience of ageing. Transform Ageing is focused on the south-west of England. 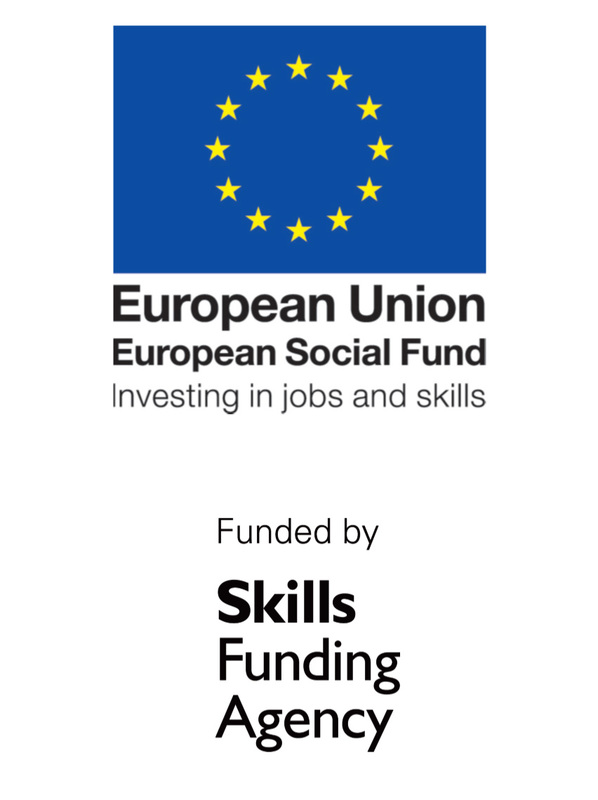 It is being delivered by UnLtd, the foundation for social entrepreneurs, Design Council, Centre for Ageing Better and the South West Academic Health Science Network. 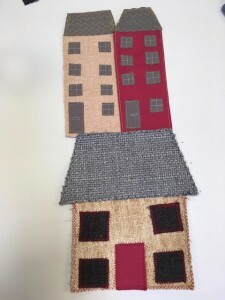 With support from Transform Ageing ‘The Sewing Rooms’ will be able to set up their service in the South West so that these communities can benefit from the expert assistance from a social enterprise, specialising in improving the health and wellbeing of the communities they work with, and improving peoples’ life chances. We’ll provide updates on this project as it develops. The 6th of February 2018 marked the centenary of the Representation of the People Act, which was a landmark moment in our nation’s history. On this day, 100 years ago some British women gained their right to vote, a critical point for women’s equality and British democracy. In celebration of this momentous anniversary, we are calling on women and girls from across the region to join us on April 14th to help create a banner which will then join the 100-strong banner procession on June 10th. The procession will be a celebration of the fight for suffrage, expressing what it means to be a woman today, and will take place across Belfast, Cardiff, Edinburgh and London. Read the full press release, including more information about our work with Transform Ageing, here. First classes of 2018 in full swing! 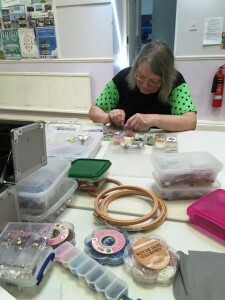 From learning to sew for absolute beginners to making your own shirt, upcycling fabrics and covering your own chair, we have something for everyone! 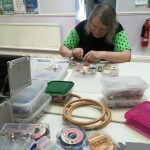 Come see how restful and inspirational our sewing space is – we’d love to meet you! Here are some of the participants in our first run of 2018 courses. 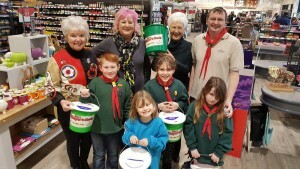 We’re a West Lancs Mayor’s charity! 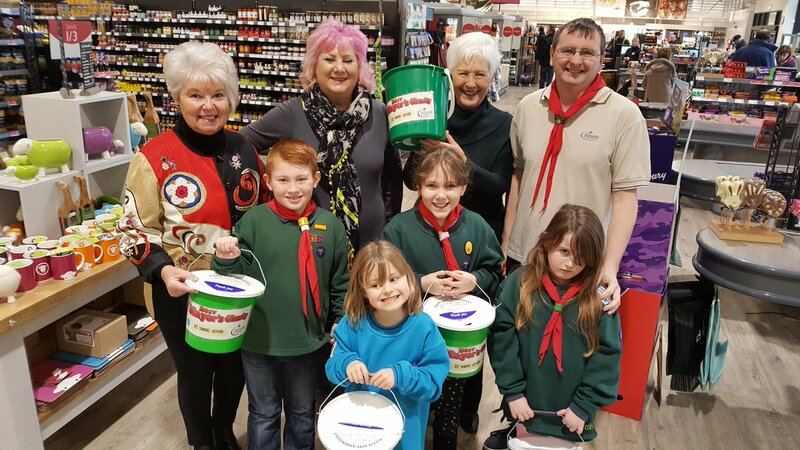 Here we are at Booths raising money late last year! We had a great time! 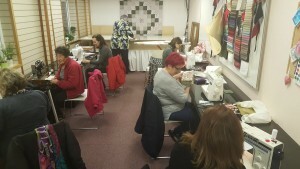 We are so excited to announce our latest sewing and upholstery courses that are to be run in the impressive, fully equipped sewing rooms – the “Sew Fab Academy” in Skelmersdale. Co-founder Paula explains, “We have the most amazing tutors, and together we have carefully crafted a number of courses that we feel will appeal to almost everyone. These bespoke courses will be very popular. You can book on Eventbrite. 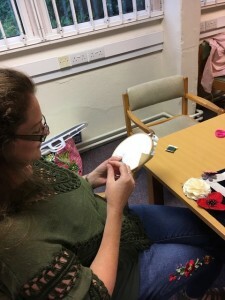 Another exciting offer is on Fridays when the Sewing Rooms are available to budding sewers and designers who may not have the equipment or space at home. 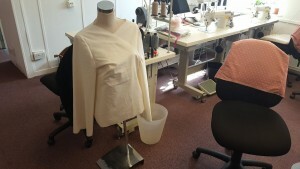 Anyone can use the facilities in the Sewing Rooms and that includes cutting tables and sewing machines, for only £30 per day. Other available equipment (for experienced sewers in particular) includes industrial machines such as flat beds, overlockers with 3, 4 ad 5 thread, blind hemmers, button holes and walking feet. 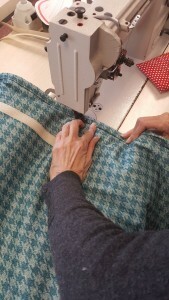 Sewing is “sew” popular at the moment explains co-founder Maureen. “The ability to make your own outfits or fix a wonky zip has never been so popular and celebrities including Dannii Minogue, Julia Roberts and Dame Judi Dench have all revealed a penchant for making everything from cushions to children’s clothes. 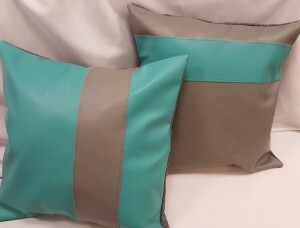 To book a course, or for further information regarding curtain making, private tuition or using the facilities, please contact Paula on T: 01695 550772; E: paula@the-sewing-rooms.co.uk and follow us on twitter @SewFabAcademy. Tutor: Michelle Aras Content covers using a domestic sewing machine; threading; functions; care and maintenance; seam types; inserting zips; using button hole; and the course will also include making make-up and tote bags; cutting and tracing a commercial pattern; and making soft furnishings including envelope, square and oblong cushions. Tutor: Michelle Aras The course will cover the basic knowledge and experience of using a sewing machine, including how to follow a commercial pattern and make a garment from scratch if you are going to a wedding or the races and want to make something original. 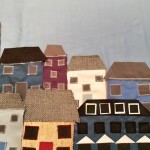 Participants will need to bring their own pattern and fabric. 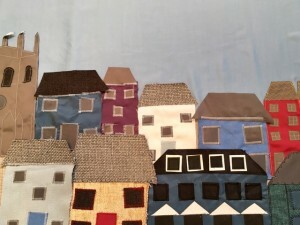 Tutor: Cath Carmichael This course is for beginners with some experience of sewing and use of domestic machines and who want to stand out at the races or a special event with a bespoke dress. Participants will need to supply their own fabric. 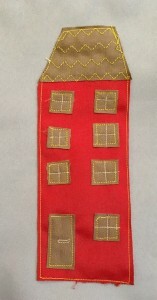 This is a creative class for which participants will need to have basic sewing skills and to bring their own garments. It could be a wedding dress, evening gown or other beloved dress, jeans or anything else you’d like to work with. 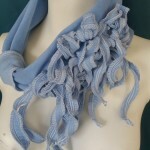 Get creative and make something unique from your old clothes. 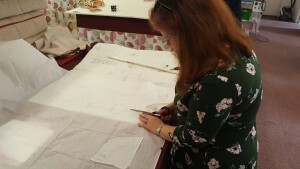 Tutor: Christine Ashton This course is for experienced domestic sewers and will cover pattern cutting and all aspects of garment construction. Participants will need to bring their own fabric. 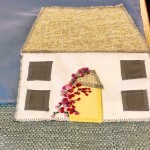 Tutor: Laura Scott Join Laura to experience the calming effects and creativity of embroidery. 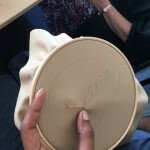 The course will cover techniques and methods of embroidery as well as provide an environment of peace and tranquility to provide participants with an opportunity to be in the moment whilst demonstrating their creativity through the medium of embroidery. All silks and threads are provided. 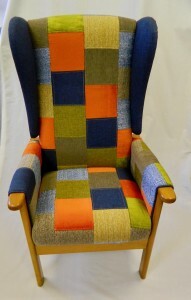 Tutor: Tom Hogg Join Tom as you delve into the fabulous world of upholstery. You will leave the course with the confidence and skills to tackle new projects on your own. Bring your own chair. 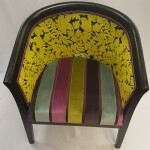 Our latest line of bespoke furniture coverings – patchwork chairs! 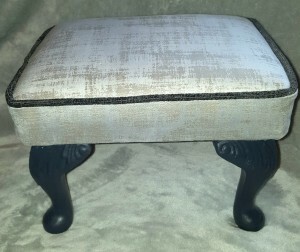 If you’re interested in a one-of-a-kind, made-to-order update for a piece of beloved, or well-worn, furniture, look no further! 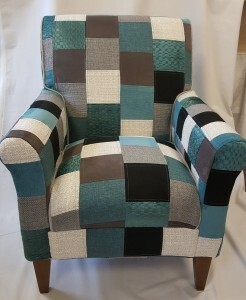 Using upcycled fabrics from Panaz, our team creates beautiful new upholstery looks. An excellent ways to #buysocial and support local businesses and talents! Co-founders Paula and Maureen recently shared their insights, knowledge and passion for social innovation at the Business Ambassadors Network meeting in Skelmersdale. Watch the video here, and stay tuned for more news about The Sewing Rooms’ support for a new Social Innovators Programme starting in February 2018!